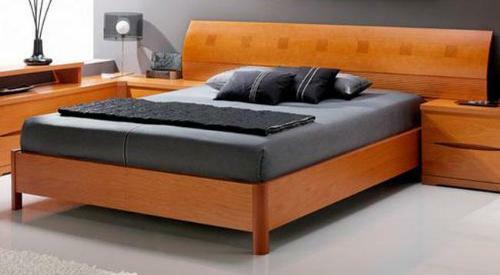 A headboard is the segment of a bed that is mostly attached to the frame of the bed. 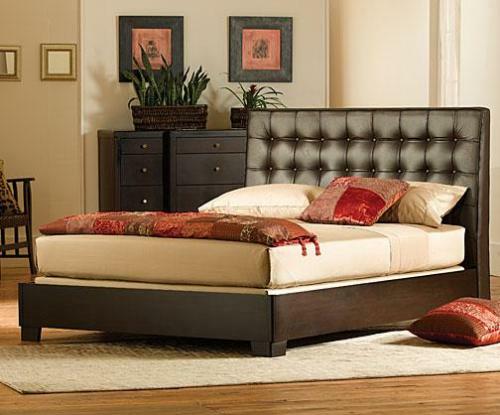 If you want an instant style in your bedroom, add a stylish headboard to your bed. Headboard offers a focal point to whole bedroom. They may be of any sizes like single, double, king size, super king size etc. They come in metal, leather, pine, oak, white wood, wooden and upholstered fabric. 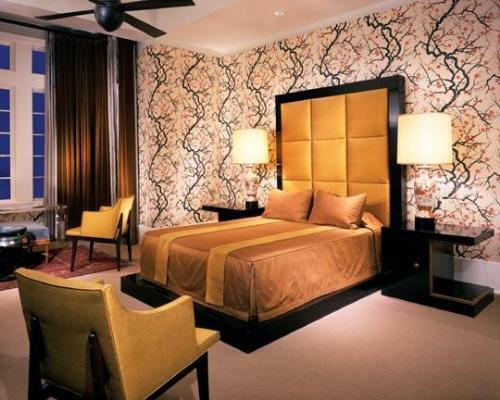 Leather headboards offer a lavish look to your bed. 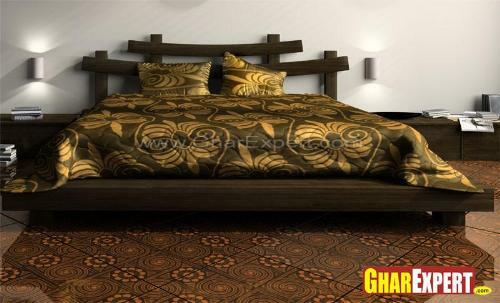 They instantly change the look of your bedroom providing an ambience of quality, magnificence and style. A leather headboard creates a strong focal point to your bedroom in which you can change the style and color of the bedding and curtains. Leather headboards come in a range of colors. Darker colors make the room look smaller while lighter shades enhance the space. Wooden headboards are nice-looking. Wood is available in different finishes like pine, oak etc. So there are several varieties of wooden headboards with pretty designs. As wood is a natural and durable material, so it remains fantastic over the years even you change the color and style of your bedroom. Metal headboards are strong as compared to other headboards. They are beautifully crafted centerpieces to any bedroom. Their range includes antique gold, nickel and brass with a choice of finishes. 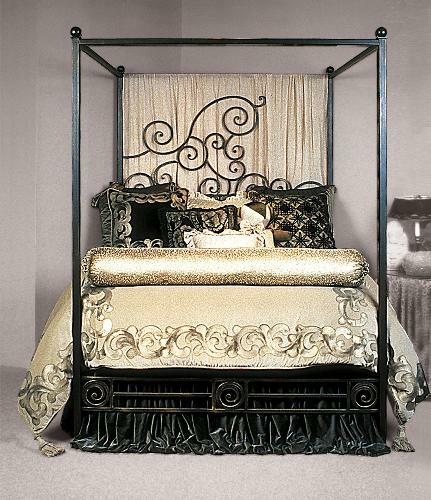 A metal headboard presents a classical style in your bedroom. Upholstered headboards offer trendy and comfy feature to your bedroom. 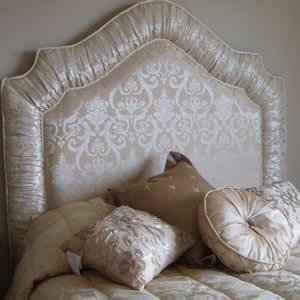 Everybody is attracted towards the beauty of these headboards. They are available in various sizes with many colors, styles and textures. You can choose right one according to your requirements. (This picture is contributed by "Reeti".). • Keeps your pillows organized while in use. • Increases your storage area with additional cabinets. Make your bathroom clutter free and organized using storage solutions. You can create storage spaces in walls, under sink, behind mirror and doors. See these tips to store accessories and make your bathroom clutter free. If you want to make your kitchen clutter free and organized, create extra storage space by using cabinets, drawers, pantries, islands, racks and rails. Read this article to make your kitchen clutter free and organize kitchen items properly. Room dividers are not only used for partition purposes but also for privacy, decoration, and fun. Room dividers add colorful and attractive touch to the beauty of a room. Room divider may match to the interior decoration of house. Fascinating themes, interesting and loving furnishing can cheer up the mood of your kids whereas pink color schemes for girls and blue schemes for boys give traditional feel. Always try to know the taste of your kids while you are going to ornament their room. You can boost up your cooking pleasure by keeping your kitchen neat and clean. An organized kitchen gives pleasing looks and helps in making your recipes superb. Here are given kitchen cleaning tips to obtain gorgeous look of the kitchen. Organized things always offer highly stunning look to your kids room. It will make the space clean and clutter-free. With simple and easy organization ideas, you can make your kids’ room pretty. Influence your kids’ mind with active thoughts and also know their tastes while organizing a space for them. Proper care and protection keeps wood furniture always appealing. If you want to maintain splendor of your wood furniture for long time, you need to be careful about your precious wood furniture that enriches your homes with unique beauty and elegance. Regular cleaning in bathroom keeps you and your family free of germs. It strengthens your body and keeps you fit as well. Here are some simple tips to make your bathroom neat and clean.